Olive, common name for a plant family , and for its representative genus, and for the fruit of the olive tree. The family contains about 900 species, placed in 24 genera. It comprises a small group of woody flowering plants, of almost cosmopolitan distribution, that contains several plants of horticultural and economic importance. In addition to the olive, familiar members of the family include ash, lilac, privet, jasmine, forsythia, and the fringe tree. Most members of this family of dicots are shrubs or small trees, although a few are climbers. Nearly all have opposite leaves, which may be simple, as in lilacs and forsythias, or compound (composed of several separate leaflets), as in ashes. Flower structure is rather uniform in the family, but some variation occurs. Typically, flowers have four sepals (outer floral whorls) and four petals (inner floral whorls), two stamens (male flower parts) attached to the inner surface of the petals, and a single ovary (female flower part), which is superior (borne above and free from other flower parts). The fruits, which develop from the ovary after fertilization, vary considerably but usually contain a single seed. Examples of distinctive fruits include those of the olive, which are technically drupes (hard seeds surrounded by fleshy material); those of the ashes, which are indehiscent (remain closed at maturity) and winged and are technically known as samaras; and those of the lilacs, which are dry and dehiscent (splitting at maturity). The olive genus contains about 20 species and is widespread in Eurasia. A few species produce good timber—for example, the black ironwood, of southern Africa. 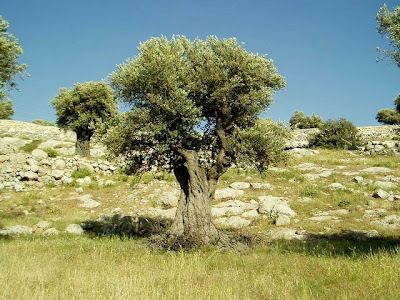 The cultivated olive is originally native to the eastern Mediterranean region but now widely cultivated throughout that area and in other parts of the world that have Mediterranean-type climates. 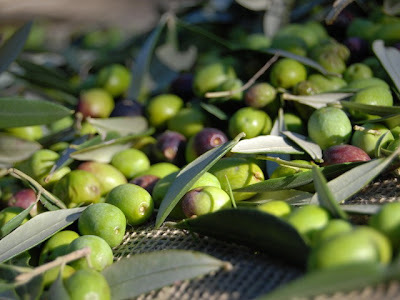 The olive is cultivated for its fruits, which yield an edible oil and are also pickled for eating. Olive oil, which is derived from fresh, ripe fruits that contain about 20 percent oil, is used in cooking, in canning, and as a table oil. Olives for eating are picked either when unripe or when ripe. Unripe olives are green and remain so during pickling. Ripe olives are dark bluish when fresh and turn blackish during pickling. 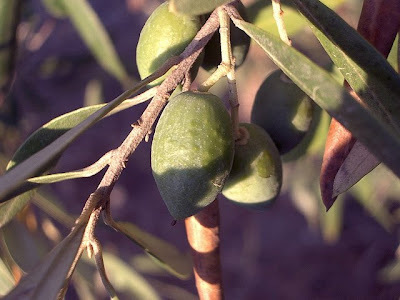 The seed, or stone, of the olive is often removed and the cavity stuffed with spicy materials such as sweet red pepper. The wood of the cultivated olive, being hard and variegated, is valued in cabinetry. Scientific classification: Olives make up the family Oleaceae. The representative genus is Olea. The black ironwood is classified as Olea laurifolia and the cultivated olive as Olea europaea.